We take pleasure in introducing ourselves as leading firm by offering Single Deflection Grille. Customers mostly preferred to purchase quality products, so we are involved in offering best quality of Double Deflection Registers. These Double Deflection Registers are extensively used in sidewall and ceiling applications. Further, these products are of world class quality and easy to use. - Usage: Shopping Malls, Hall, Industrial etc. 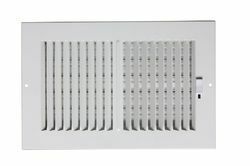 We are offering Ventilation Grill to our clients. Double Deflection Grille is being manufactured with us. Most desirable for supply air inside-wall locations. 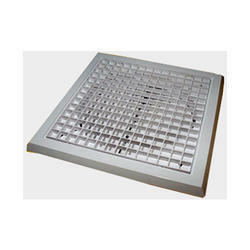 - Double Deflection grilles are suitable for well, ceiling and duct applications. Grilles vanes in double deflection are individually adjustable. Grilles can also be supplied with non-standard frames/boarders as per the customer requirements. We are one of the most well-distinguished companies in the market that are into offering Air Transfer Grille.